Life with my GSX-R1000R has been a blast over the past couple of months. It's like coming home after owning a K5 1000 and three 750s over the years. The new GSX-R may have more top end power than ever and a raft of snazzy rider aids, but it rides just like a Gixer should. It’s light, raw and pretty comfortable on long runs – far less of a torture chamber than the ZX-10R and R1 I’ve had in previous years. But as impressive as 180bhp-plus is, it’s impossible to feel the extra shove the VVT motor delivers at 10,000rpm on the road. Even in first gear these kind of revs will get you into trouble, so I’ve got an evening MSVT trackday (www.msvtrackdays.com/bike) booked next month at Brands Hatch, my home track, to let my Suzuki off its leash. 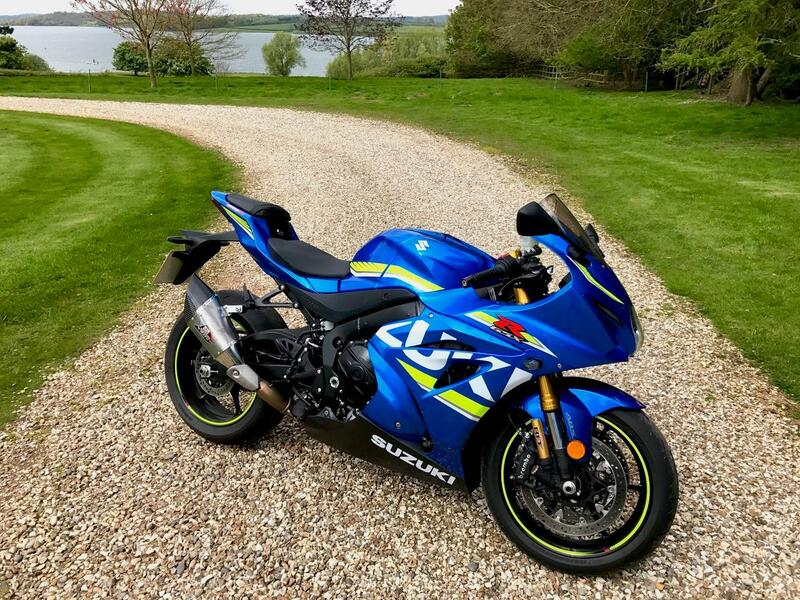 Away from its howling top end the GSX-R1000R has lots of usable grunt and a peachy gearbox, made even smoother by its new quickshifter and autoblipper. I like how you can adjust the traction control on the move, too. I run it high and safe for normal riding and down, or off, for playtime. Only the brakes leave me a little cold. Just like every Japanese ABS-equipped superbike now they do the job, but lack feel and power. 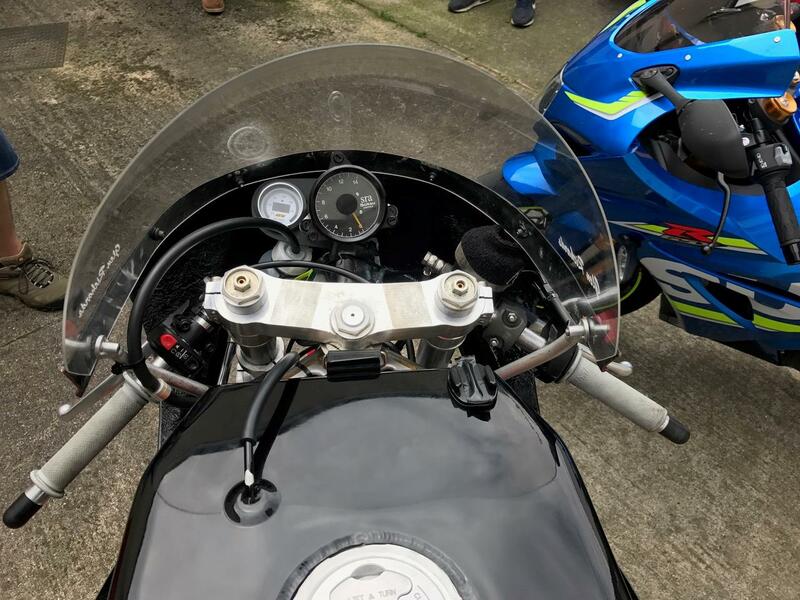 Ducatis, Beemers and Aprilias all have stronger, more tactile set-ups and give you the option to disable the ABS for track work (not that you need to, they’re so good), which you can’t do on the Suzuki. All the 2000-miles I’ve racked-up so far have been on the road, riding the twisty way to work and hammering the motorways south to see mates. Last week I was with the Carl Cox Motorsport team I race for (at the Island Classic in Phillip Island) and we went to see Roger Winfield. 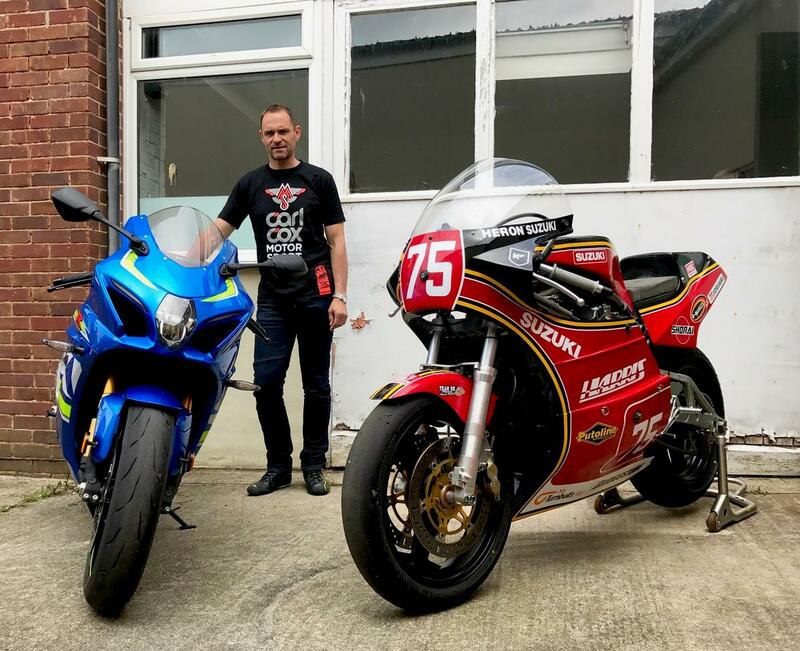 He’s the clever chap who builds the Classic’s ‘Team UK’ machines that the likes of Jeremy McWilliams, John McGuinness, James Hillier, Peter Hickman and Glen Richards use to battle against the Aussies, Kiwis, Irish and Americans in the International Challenge match races. 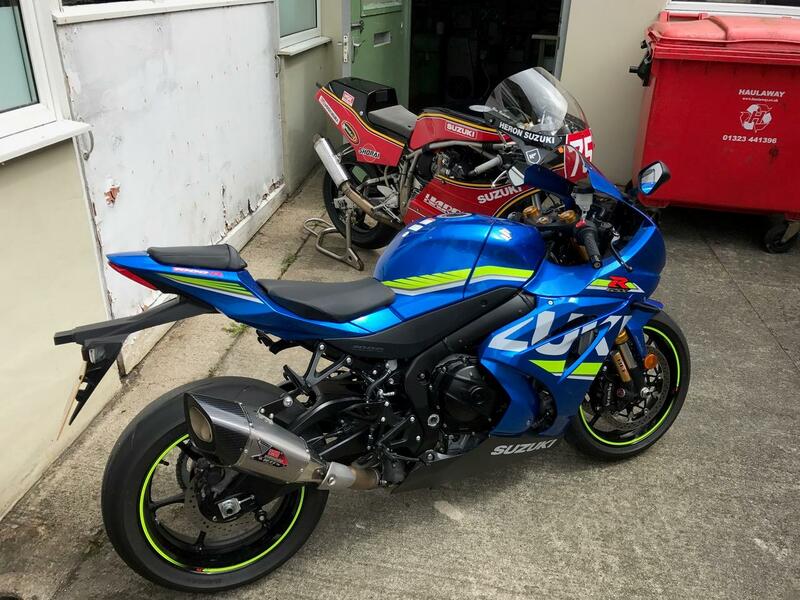 Bridgestone RS10 tyres are standard on the GSX-R1000R and they haven’t given me any problems, but the rear squared-off after around 1500-miles, so before I head to Brands I’ll be fitting a set of K3 compound Metzler Racetec RRs. 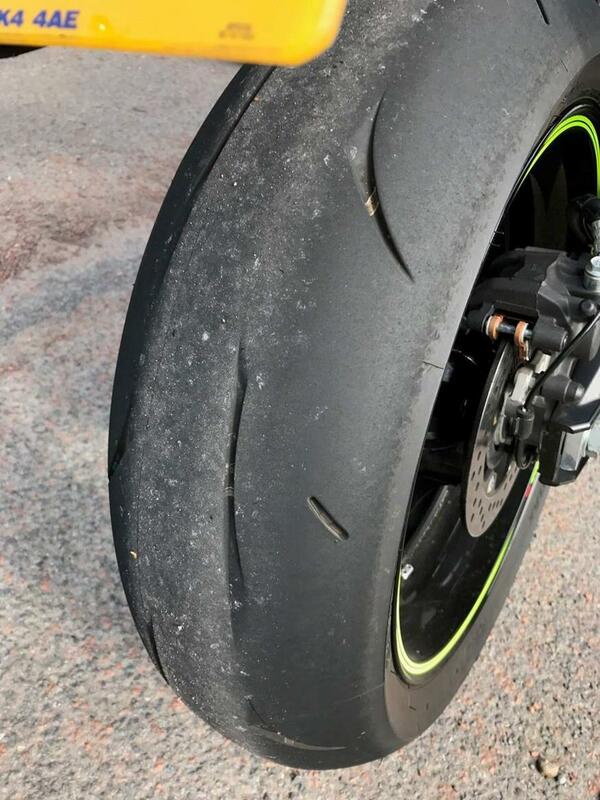 They’re the best trackday tyres around right now - grippy and durable, which is a neat trick. I’ve had an easy 2500-3000-miles out of a rear on my old R1 and ZX-10R. I’ve also fitted a new Yoshi can and had my bike remapped at Hilltop Motorcycles (www.hilltopmotorcycles.co.uk). It was interesting to see how the GSX-R1000R responds to mapping and the new can, but that’s a story for my next update.